Like many of my posts, this one comes from the threads of several disparate conversations coming together in my mind, in an almost astrological conjunction. One thread stems from my recent Should SEO Focus in on Linked Data? post, in which I was concluding that the group, loosely described as the SEO community, could usefully focus in on the benefits of Linked Data in their quest to improve the business of the sites and organisations they support. Following the post I received an email looking for clarification of something I said. 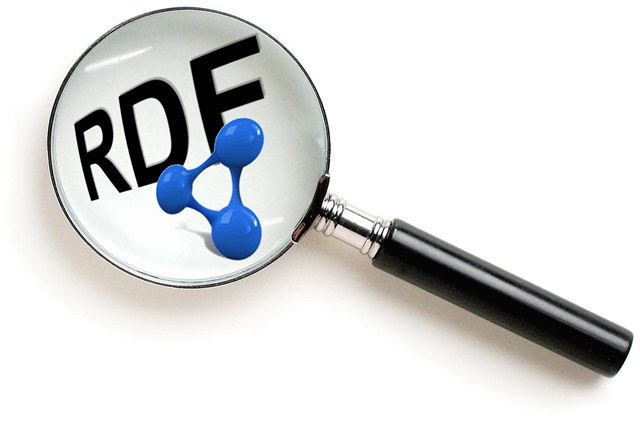 One of the major benefits of using RDFa is that it can encode the links to other sources, that is the heart of Linked Data principles and thus describe the relationships between things. It is early days with these technologies & initiatives. The search engine providers are still exploring the best way to exploit structured information embedded in and/or linked to from a page. The question is do you just take RDFa as a new way of embedding information in to a page for the search engines to pick up, or do you delve further in to the technology and see it as public visibility of an even more beneficial infrastructure for your data. If the immediate use-case for RDFa (microdata, etc.) is search engine optimization, what is the “even more beneficial infrastructure”? If the holy grail is search engine visibility, rank, relevance and rich-results, what is the “even more”? Value added data from external sources…. Easy to map, and therefore link, your categorisations to ones the engines do/may use (eg. Google are using MusicBrainz to help folks navigate around – if, say as the BBC do, you link your music categories to those of MusicBrainz you can share in that effect. So what I am saying is that you can ‘just’ take RDFa as a dialect to send your stuff to the Google (in which case microdata/microformats could be equally as good), but then you will miss out on the potential benefits I describe. Get visibility and hence folks to hit your online resources. Provide the best experience/usefulness/value to them when they do. Linked Data techniques and technologies, have great value for the data owners in the second of those, with the almost spin-off benefit of helping you with the first one. The next thread was not a particular item but a general vibe, from several bits and pieces I read – that RDFa was confusing and difficult. This theme I detect was coming from those only looking at it from a ‘how do I encode my metadata for Google to grab it for it’s snippets’ point of view (and there is nothing wrong in that) or those trying to justify a ‘schema.org is the only show in town’ position. Coming at it from the first of those two points of view, I have some sympathy – those new to RDFa must feel like I do (with my basic understanding of html) when I peruse the contents of many a css file looking for clues as to the designer’s intention. However I would make two comments. Firstly, a site surfacing lots of data and hence wanting to encode RDFa amongst the human-readable stuff, will almost certainly be using tools to format the data as it is extracted from an underlying data source – it is those tools that should be evolved to produce the RDFa as a by-product. Secondly, it is the wider benefits of Linked Data, which I’m trying to promote in my posts, that justify people investing in time to focus on it. The fact that you may use RDFa to surface that data embedded in html, so that search engines can pick it up, is implementation detail – important detail, but missing the point if that is all you focus upon. Thread number three, is the overhype of the Semantic Web. Someone who I won’t name, but I’m sure won’t mind me quoting, suggested the following as the introduction to a bit of marketing: The Semantic Web is here and creating new opportunities to revamp and build your business. 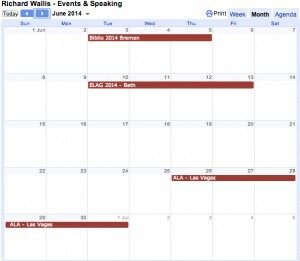 The Semantic Web is not here yet, and won’t be for some while. However what is here, and is creating opportunities, is Linked Data and the pragmatic application of techniques, technologies and standards that are enabling the evolution towards an eventual Semantic Web. This hyped approach is a consequence of the stance of some in the Semantic Web community who with fervour have been promoting it’s coming, in it’s AI entirety, for several years and fail to understand why all of us, [enthusiasts, researchers, governments, commerce and industry] are not implementing all of it’s facets now. If you have the inclination, you can see some of the arguments playing out now in this thread on a SemWeb email list where Juan Sequeda asks for support for his SXSW panel topic suggestion. A simple request, that I support, but the thread it created shows that the ‘eating the whole elephant’ of the Semantic Web will be too much to introduce it successfully to the broad Web, SEO, SERP, community and the ‘one mouthful at a time’ approach may have better chance of success. Also any talk of a ‘killer app’ is futile – we are talking about infrastructure here. What is the killer app feature of the Web? You could say linked, globally distributed, consistently accessed documents; an infrastructure that facilitated the development of several killer businesses and business models. We will see the same when we look back on a web enriched by linked, globally distributed, consistently accessed data. So what is my astrological conjunction telling me? There is definitely fertile ground to be explored between the Semantic Web and the Web in the area of the pragmatic application of Linked Data techniques and technologies. People in both camps need to open their minds to the motivations and vision of the other. There is potential to be realised, but we are definitely not in silver bullet territory. As I said in my previous post, I would love to explore this further with folks from the world of SEO & SERP. If you want to talk through what I have described, I encourage you to drop me an email or comment on this post. Will Government Open Licence Extensions be a haven for the timid?